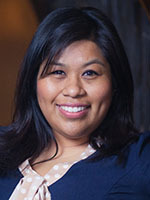 Yadira Limon is a legal assistant with the Law Offices of Stacy Tolchin, where she assists in the preparation of cases before the Department of Homeland Security and the Executive Office for Immigration Review (Immigration Court). Prior to joining the Law Offices of Stacy Tolchin, Ms. Limon was a legal assistant with Van Der Hout, Brigagliano & Nightingale, LLP for three years. Yadira holds a Masters Degree in Philosophy and is fluent in Spanish. She is a graduate of California State University, Los Angeles. Pedro Gutierrez has been with the The Law Offices of Stacy Tolchin since early 2013. 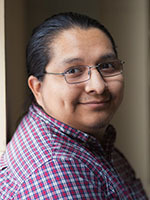 Pedro is a legal assistant and is responsible for working with clients under the supervision of the office’s attorneys. He also attends Chaffey College and is studying both Business and Music. He has a passion for all things music and repairs guitars in his spare time. Prior to working for the firm, Mr. Gutierrez and his family were clients of the Law Offices of Stacy Tolchin.